Hi, everyone! Today's post is a little different than my normal ones. This post focuses on Princess Puppy, aka Dakota, and her BarkBox! 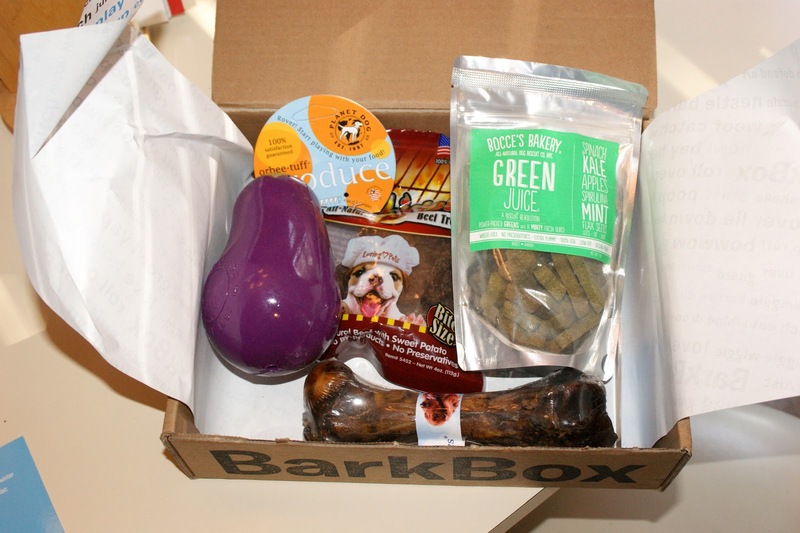 BarkBox is a pet subscription box, similar to the beauty boxes we buy for ourselves. Except, they're designed for our pups! BarkBox gives you an option to pick a size box based on your dog's size. They come in Small and Cute (0-20 lbs. ), Just Right (20-50 lbs.) and Big and Bold (50 lbs.+). 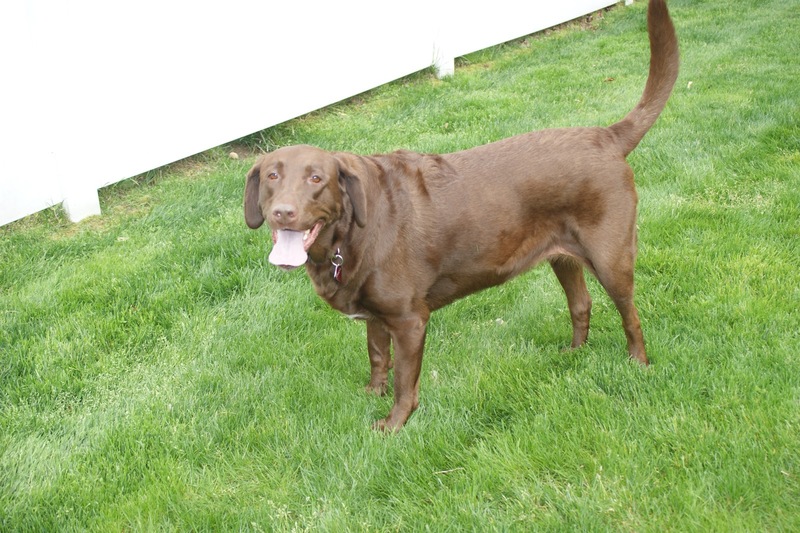 I picked Big and Bold because Dakota is a 90lb Chocolate Labrador! This is Miss Dakota... and she's sticking her tongue out to say hi! Here is what the Barkbox looks like when you open it! 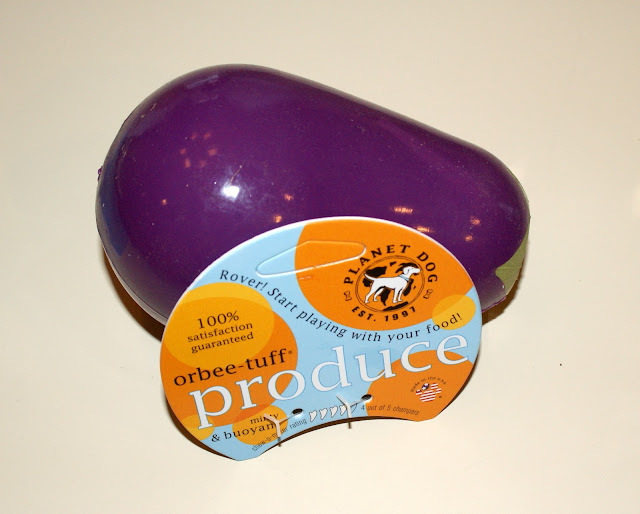 Here is the Orbee-tuff Eggplant! It's easy to squeeze, but also very durable. 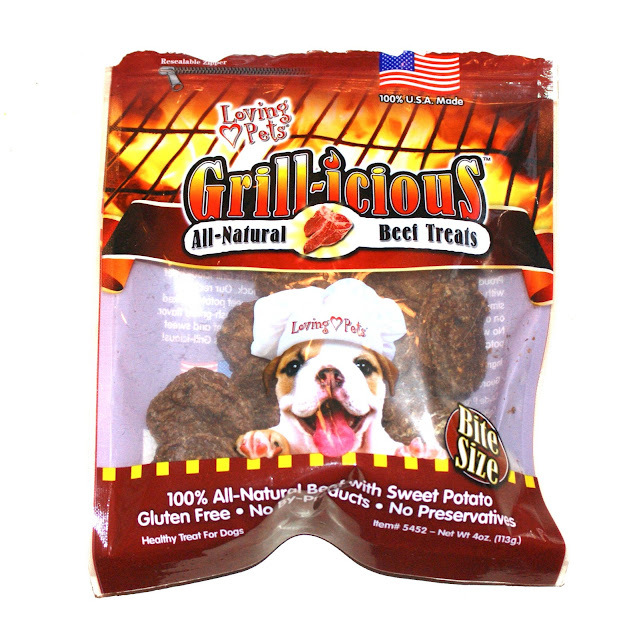 Dakota is a hard chewer, so she puts these to the test! She is already obsessed with it! This also comes in raspberry, strawberry, and artichoke. I'm a gardener that also grows strawberries, so I have to get that one too! This retails for $14.95 and 2% of all of their profits is donated to guide dog charities. As someone who raises Seeing Eye dogs, I LOVE this. 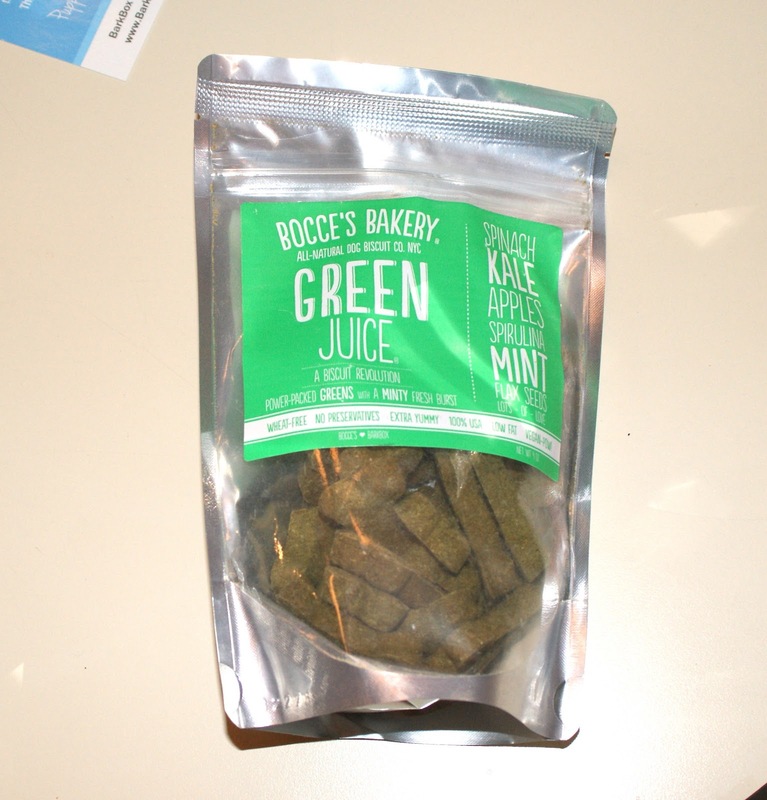 Next up are Bocce's Bakery Green Juice treats! Packed with spinach, kale, apples, mint, and other healthy greens, they are super healthy and made with no chemicals or preservatives. If your dog has allergies or a sensitive tummy, it's for them! Dakota is fortunate to have neither, but she loved them anyway. These retail for $9.50. Here is the most special treat of all, which I had to hide for a special occasion. 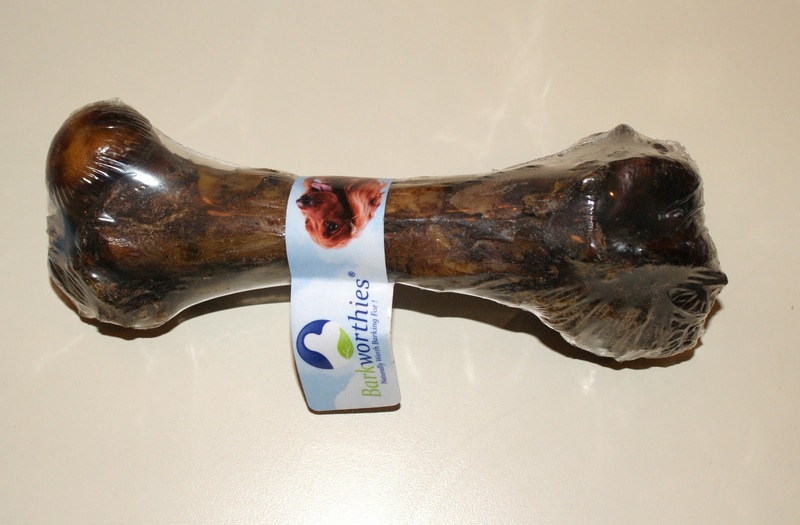 This is a Barkworthies Smoky Pig Femur Bone chew. She's had these before and LOVES them. They retail for $8.00. Last up is a bag of all natural dog treats from Loving Pets called Grill-icious! Dakota is sucking these down. She absolutely LOVES them! They retail for $7.99. The total retail value of Dakota's BarkBox was $40.45 and I paid $19 during a promo, so I more than doubled the cost of my subscription! 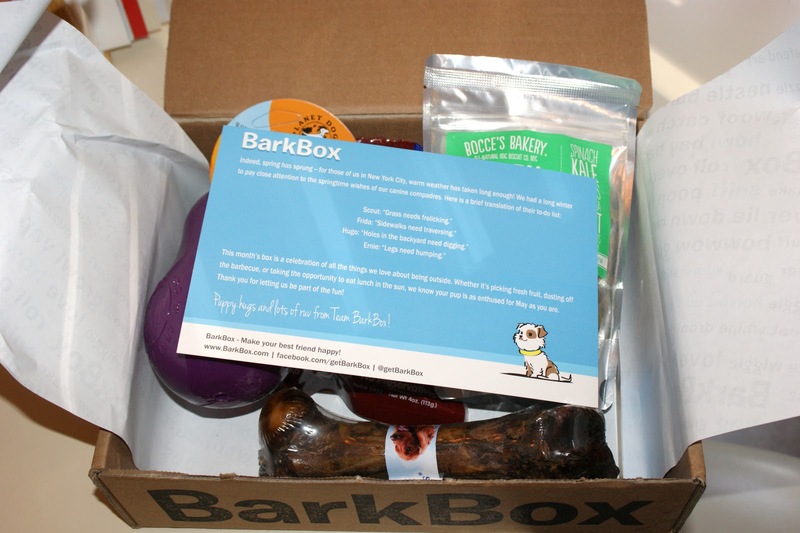 BarkBoxes are regularly $29/month (charged once a month), $23/month (charged every three months), or $19 (charged every six months) and they always ship for free. HOWEVER, if you CLICK HERE and sign up, you'll receive $5 off your first month! Your first month could be as low as $18! Even if you only do it for one month as a trial or just a special gift for your pet, you get awesome value for your dollar. And don't just take my word for it! Check out how much Dakota LOVED everything in her Barkbox!